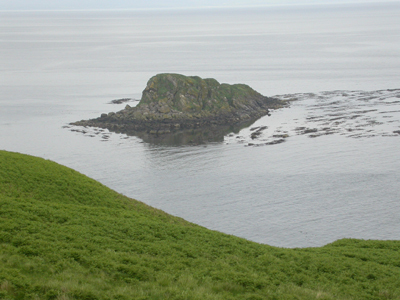 Studies of the birds of the Sanda group of islands have been taking place over three decades, initially by a small band of enthusiasts from Clyde Ringing Group. Over the years this band has grown to include ringers from across the UK and even abroad. In 2002 the decision was taken to form a charitable trust, with the intention of increasing the ornithological work carried out. 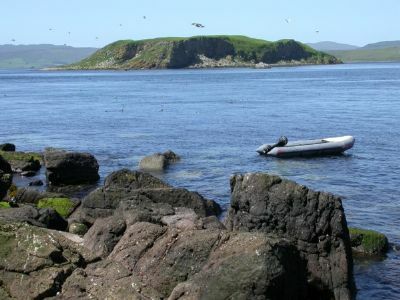 Formed as the Sanda Island Bird Observatory and Field Station Trust, it is registered with the Office of the Scottish Charities Regulator and has the number SC032944. 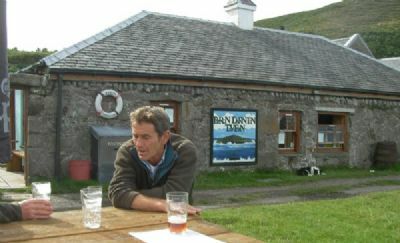 With support from the previous landowners, Mr & Mrs Gannon, the activities of the Observatory have been centred on the boat shed in the bay on the north shore of the island. Between 1980 and 2005 over 55,000 birds have been ringed. 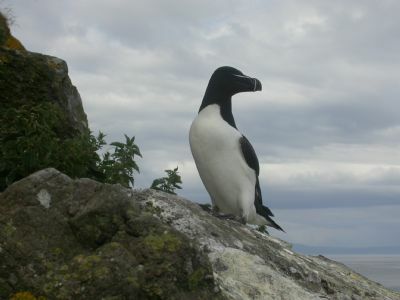 These birds have included breeding and migrant passerines, as well as the important species of breeding seabirds on Sanda and its satellite islands of Glunimore and Sheep Island. The island is now under new ownership. Access to the island was severely limited in 2011 due to extensive refurbishment work to buildings. While we were able to resume activities in 2012, with a regular presence on the island, and resumed ringing courses for seabirds, 2013 is proving more challenging. The island's water supply has been condemned by the local authority, resulting in the closure of all accommodation until a solution can be implemented. Until this happens we do not know how the observatory can operate. Non residential day-visits may still be feasible. Seabird city - guillemots, razorbills, cormorant, fulmar, puffin, great black back, kittiwakes. One of the many species monitored by ringing.